CHOLLEY Hyaluron Ampoules are a hydrating and anti-aging concentrate containing hyaluronic acid, amino acids, vitamins, and phyto extracts. It is ideal for intense hydration, regeneration, and firming of the skin. 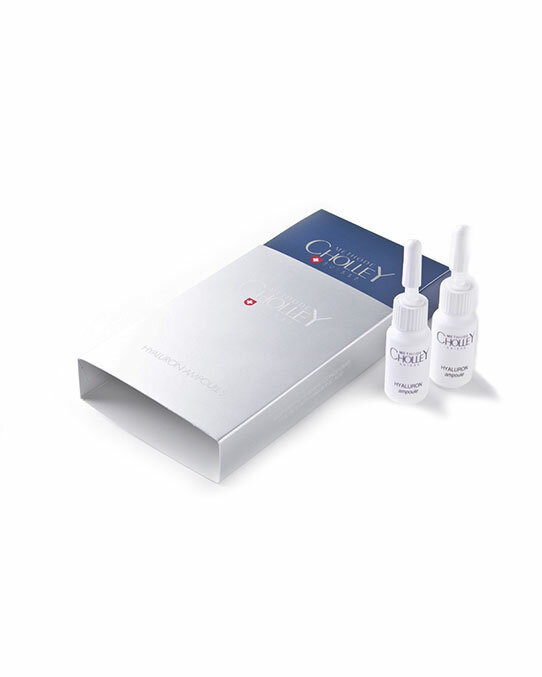 CHOLLEY Hyaluron Ampoules keep the skin optimally hydrated, firm, soft, and elastic. As a regenerating product, it is strongly recommended for couperose, stressed, sunburned, and dull skins. It is particularly beneficial for a dehydrated and mature epidermis, and it serves as an indispensable firming product for flaccid skin.